1. 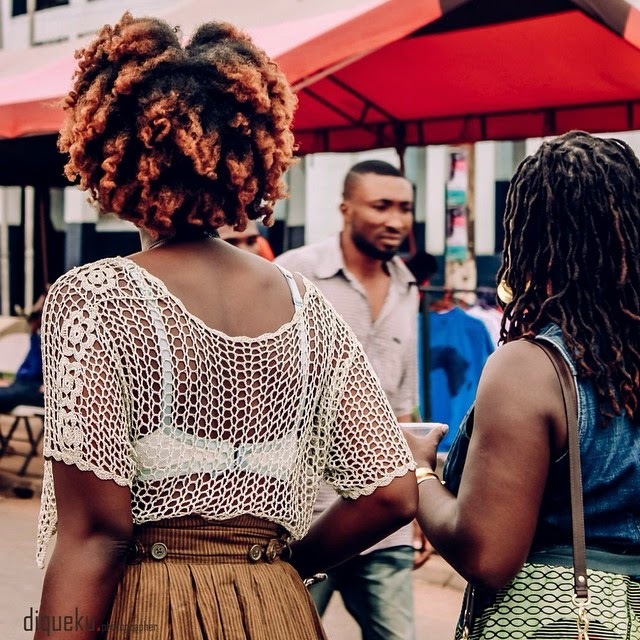 What career direction have you taken up in Ghana? Since moving to Ghana I’ve geared towards the arts. I’ve gone completely opposite of what I went to undergrad and grad school for which was Psychology and Healthcare Administration respectively. I really decided to follow my true interests, my passions and my heart once I got here and it’s led me to do all these things I secretly enjoyed but never thought I should or could make a living out of. I’m an actor, producer, talent director, creative artist and model. It feels kind of amazing to be able to say thats what I do cause I’m passionate about each of those jobs. I would say my own growth and maturity. Some people reach a certain point in their lives when they just want more and the mundane and average is no longer good enough. I had a yearning to live my dreams and basically to be happy and I just wasn’t finding that in Philadelphia anymore. I had no idea where i was going to find it or how but Ghana being my home country was my first point of attack. 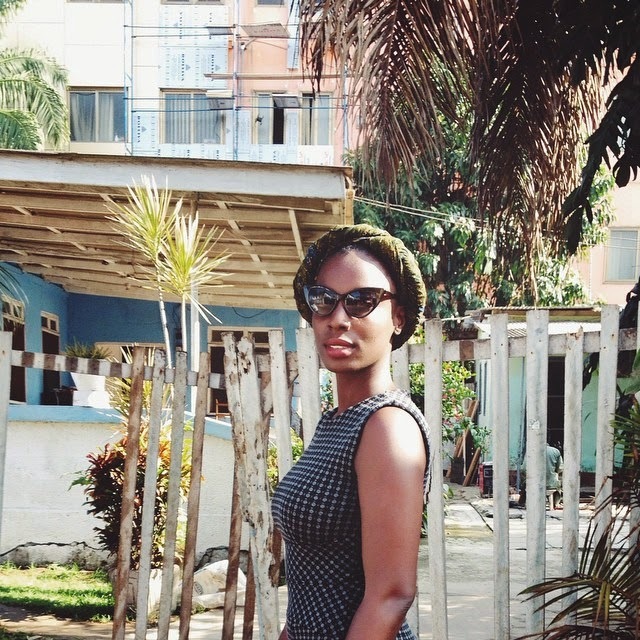 All my family was back in Ghana and it just felt like the right time for me to explore the country as an adult. Above all i picked Ghana because no matter what there’s a sense of peace I get here that trumps everything. Filming an African City was such a great experience. Everything was a learning lesson for me. Everything. I think the best part was working with amazing talents and FUNNY people. Laughter is everything to me so to be able to go on set with people you like and have fun while working is huge. From my fellow cast mates to the production crew we really just had a great time shooting. This is going to sound like a complete lie but there really weren’t any “worst parts” of filming season 1. It really was such a great 4 weeks of shooting. 4. 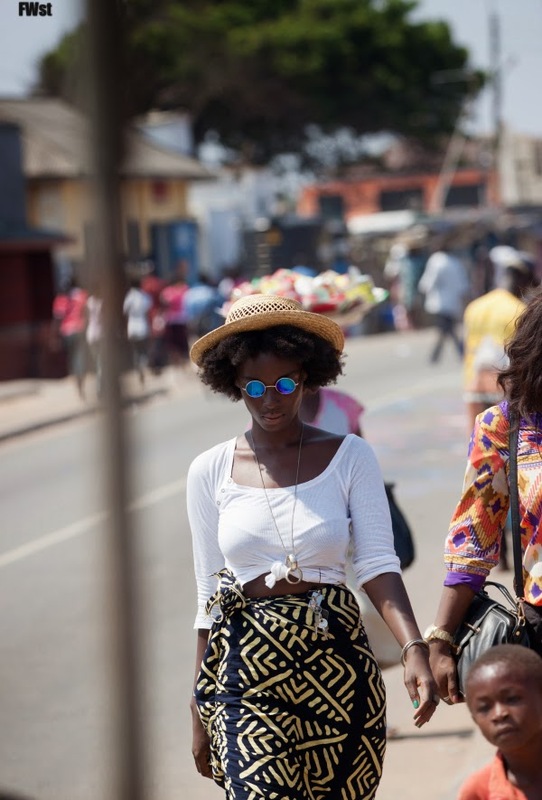 You work closely with upcoming creatives in Ghana. A notable one, being the designer label, Osei Duro. What do you love about the label and your thoughts on other upcoming African inspired designers? Yes!! Osei­Duro is definitely one of my favorite African based labels. I love how easy and comfortable their clothes are. The cuts and styles are simple and classic but the prints are really what send it over the edge. And I love that they produce everything in Ghana. There are so many amazing African brands that i’ve found out about recently: Eki Orleans, BarkersWoode, Raffia. These are all new to me and everyday I come across more designers that are just putting the continent on the map as far as fashion. 5. You are most definitely a creative yourself! You did an amazing job at transforming wooden soda crates into functional benches at the 2014 Chale Wote Festival. When and how did you grow your love for all types of art? For as long as I can remember i’ve loved repurposing and turning one thing into another. I was the girl who would go outside and grab some twine and turn it into a belt cause i couldn’t find a real belt. lol I started repurposing furniture about 10 years ago and I didn’t even consider it art. I had just moved into my first apartment and needed furniture on a budget. I went into a thrift store and bought some cheap side tables, painted them, put foam and fabric over them and turned them into sitting stools. From there it was just something I did as a hobby. I would scour garage sales and vintage shops, make pieces for friends then i started getting commissioned to do pieces and it just went on from there. Chalewote really has been a great way for me to indulge in my form of “art”, show that to the world and take in all these insanely talented creative artists in Accra. I love anything that engages my creative senses. That is what I consider art. It can come in a myriad of forms. 6. What is your ultimate career goal? I dont have an ultimate career goal to be honest. My ultimate goal is to pursue my passions and be happy and fulfilled with everything I put my energy into. As long as that happens I’m meeting my ultimate goal and that’s all that matters to me. 7. You rock natural hair ever so fiercely. Do you have any advice for anyone wanting to go natural? Or any products/tips/tricks that you swear by? Do it!!! If you’re leaning towards going natural and unsure take the leap. If you don’t like it you can always go back to however you were wearing your hair. I keep it simple. I don’t shampoo often. I cowash when the urge hits me but my hair loves water so i spritz it with water every other day or whenever it feels dry. My hair product staples are Cantu Shea Butter, regular good ol’ natural shea butter and extra virgin olive oil. 9. What motivates and inspires you? Any specific people, places, music, books, etc. ?My mother's strength is inspiring. Never met anyone with her emotional tenacity. surrounded by trees. Love it! Women who walk in their light and take risks. I love them. I try and feed into their courage as much as I can. 10. If you could work creatively with any other woman, who would she be? Oh wow! There are so many dope female creatives I would love to work with but i’m going to stick close to home and in the film realm and say Frances Bodomo. She’s a young Ghanaian film director who I met a few months ago at the Durban International Film Festival. I love her work, her energy and vibe. Would love to work with her. Check out her inspiration and projects here. -Thank you so much for doing the interview with us Maame! We are excited to see more of your beautiful, creative self!